After more than 20 years of practicing law, Daniel knows every move in matters of commercial bankruptcy (debtors and creditors), creditors’ rights, business transactions and commercial litigation. Commercial debtors and creditors call Daniel because of his record of efficiently and skillfully litigating and negotiating for clients. As each case is unique, he assesses all details and both sides’ expectations, then informs his clients about the merits and pitfalls of their options. 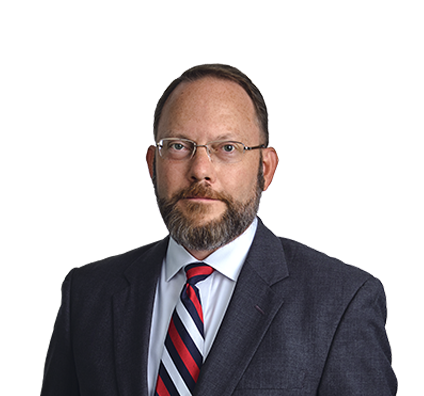 Daniel has represented plaintiffs and defendants in business transactions and complex commercial litigation, as well as secured and unsecured creditors in banking litigation, bankruptcy and resulting actions. He knows all aspects of construction lien law and arbitration, Article 9 secured transactions, Wisconsin Chapter 128 receivership proceedings, and workouts and out-of-court restructurings to obtain beneficial outcomes. He also works effectively with law-enforcement agencies such as the FBI and the Department of Financial Institutions. Daniel has successfully litigated cases involving fraud, embezzlement, fraudulent transfers and theft-by-contractor, which often lead to bankruptcy filings. In many instances, when the opposing side sought to discharge those debts, Daniel successfully objected and the debtors were denied a discharge. Represented 24 credit unions with claims totaling more than $75 million after collapse and institution of receivership proceedings against Central States Mortgage Co. Defending banks, credit unions, institutional lenders and financing corporations in claims and in pursuit of creditors’ remedies, including litigation in state, federal and bankruptcy court; motions for replevin; temporary restraining orders; receiverships; construction and mechanics' liens; and discovery and recovery of nonexempt assets. Handling appellate work in state and federal court related to creditor's rights, collection, foreclosures and related issues. Counseling debtors and creditors on pre-bankruptcy workouts, including preparing and revising security, inter-creditor and subordination agreements, factoring and letter agreements, and forbearance and other types of settlement agreements. Prosecuting and defending against mechanic's and materialmen's liens. Served on team for debtor's counsel for foundry operation consisting of eight foundries in six states. Helped facilitate sale of substantially all debtor's assets, permitting company to continue to operate and retain most of its employees. Advised custom thermoforming company employing more than 200 people on how to avoid possible foreclosure and facilitate successful Article 9 sale to new owner. Factory shutdown was averted, and most employees were retained. Acted as bankruptcy counsel for major Midwestern companies in connection with defense of multimillion-dollar preference actions commenced in major bankruptcy cases litigated in other jurisdictions, including Delaware and New York. Representing secured lenders in default, workout and foreclosure and liquidation proceedings, including preference and avoidance actions. Representing Chapter 7 trustees in motions to sell assets free and clear, adversary proceedings to recover preferences and fraudulent transfers, claims objections and all manner of contested hearings in bankruptcy court. Obtained non-dischargeable judgment against defendant in $4 million theft-by-contractor case, leading to successful criminal prosecution. Obtained non-dischargeable judgments against defendant in $6 million conversion/embezzlement case leading to successful criminal prosecution. To celebrate reaching their half-century mark, Daniel and a childhood friend climbed Mt. Kilimanjaro. A year before their 50th birthdays, Daniel and a buddy he had known since kindergarten decided they would train for 12 months, then fly to Tanzania to climb 20,000-foot Mount Kilimanjaro. In February 2017, they began their assent. They climbed for four days and would descend in two. On the fourth day, Daniel and his friends woke up at midnight and climbed through the night until they summited at 6:30 a.m., just as the sun rose above the horizon. A select part of Daniel’s practice is working with both company clients and law enforcement agencies on difficult collection matters that involve fraud or other criminal activity. Daniel works at the intersection of white-collar crime, litigation and collections to advise clients on how to manage themselves internally following a crime such as embezzlement and how to proceed in litigating against the culpable individual. He has successfully worked with law enforcement to help them obtain criminal convictions.